There's something satisfying and wonderful about reading and gathering inspiration from an author's ideas, and then finding that your own work and thoughts has been influenced in the process. One such inspirational read is The Night Circus by Erin Morgenstern. It's a great book that has nothing directly to do with museums, but, in a way, everything to do with the way that the objects, experiences, and social interactions possible in magical settings (like museums!) can not easily be recreated in other ways. Highly recommended. The next two books capture the power that particular objects, or the ways through which particular objects are created, have over our imaginations and memories. Each of these books also opens the windows into the very messy processes by which the neat finished products came to be --- something I wish museums could show us more of. 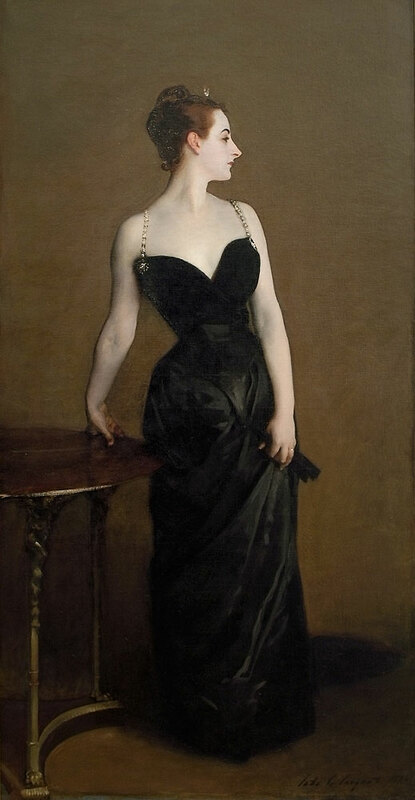 The first book, Strapless by Deborah Davis, despite its deliberately provocative title, captures the fascinating story of one particular piece of art --- John Singer Sargent's "The Portrait of Madame X" (pictured at the top of this post.) Davis delves into the complex interactions between artist, model, and societal attitudes, and how they caused a tremendous scandal, that, on its face, seems a bit ridiculous now. I've always loved this Sargent painting, so it was fascinating to find out about the stories behind its creation. The second book, in this process-oriented vein, is Windows on Nature by Stephen Christopher Quinn. It is an exploration of the historic dioramas at the American Museum of Natural History --- how they were created, and how they continue to resonate with modern visitors and exhibit designers alike. It is gratifying to learn of the deliberately low-tech artistry that continues to mesmerize museum visitors of all ages. The last book is a science-oriented volume that captures the spirit that I'd like to find in every Science Museum or science-related exhibition. The book is Stiff by Mary Roach. Starting with an unlikely subject for a book: human cadavers (hence the title) author Roach takes us for a spin through such topics as organ donation, funeral homes, and "The Body Farm." I hope these books might give you a little inspiration on your own museum/exhibit/design practice. Feel free to share any books that might have inspired your own work in the "Comments" Section below.